Well you can't say that City are not fighters, they played magnificently. In the first 10 minutesthey would have scored if Elvis Hammond had been on the pitch. We do badly need some height in the box. The only thing we appeared to be lacking is a goal scorer. Hume (and Fryatt) are both fast but don't have a heading ability. The first half our defence was like a brick wall. Every time Birmingham launched an attack McCarthy was there, (whether it was left, right or centre of the box). In my opinion he was certainly man of the match. A very close second to McCarthy had got to be Logan, he made two magnificent saves in the first half and again several more after the break. Their goal was lucky, we relaxed for a couple of minutes. I was still confident that we would go on to win the match with the fighting spirit we displayed (as usual)…. U’s happy with a bore draw? City’s poor home form continued with a 0-0 draw at the Walkers Stadium on Saturday. Make no mistake this was not a good game and the boos at the final whistle were well deserved. Colchester set out to make it difficult for City on the back of a good run but both sides were lacking in the quality required to score. Free tickets swelled the attendance to over 22,000 but the biggest home crowd of the season were sadly subjected to a performance as bad as anything we have seen since the summer break and certainly were not entertained. Conrad Logan played well for a clean sheet on his home debut and with some excellent kicking reminded everyone what City lack with Henderson or Douglas play in goal. McAuley also had a decent debut at the back but it is further forward that City looked desperately weak. Fryatt could have scored a couple on another day and O’Grady tried to put himself about but it was a lack of chances created, and City’s complete and at times embarrassing inability to keep the ball which was cause for concern and reduced the game to mediocrity. With brief spells of respite there was no rhythm to the play, no movement off the ball, no support for the strikers, no incisive passing, no creativity and certainly no goals…. 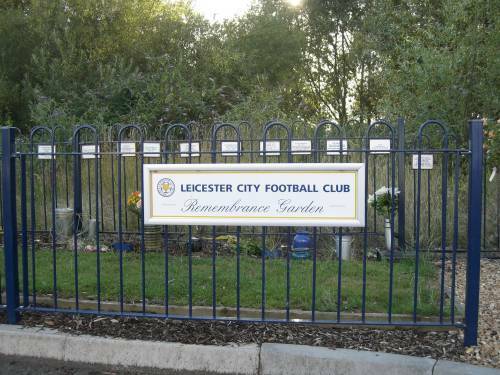 Leicester City’s Garden of Remembrance is presently unique in British football. Although some clubs allow ashes to be scattered behind a goalmouth, and Bolton Wanderers have established a Memorial Wall for deceased players and supporters, the Foxes are the first club in the country to provide such a wide range of services for those who have lost a loved one. Designed to be an integral part of the new Stadium site, the garden was originally the brainchild of Alan Birchenall, with significant input from the Supporters Club and the previous Club Chaplain. The garden has subsequently proved to be an extremely popular place to mark the loss of a loved one. Indeed it has proved so popular that it is now being extended. In this final article in the series will look at Bruce’s views on the sharing of wealth in football, his involvement with fans and the wider community, plus how long he hopes to retain the position of Chaplain. Do you think the 'business' side of football clubs is detracting from the enjoyment of playing and watching football? Being a bit controversial here, I would say that a good example of business decisions being detrimental at times is the example of one-year kit deals stemming from business pressures. Who wants to buy a kit for a Christmas present that only has four months left to run? There is a balance between decisions made for the benefit of the business and not alienating the fan base. Close consultation with the fans is vital to achieve this. I don’t like the inequalities that force clubs to make very tough business decisions. We are in a situation now where the rich are getting ever richer at the expensive of the other clubs. As fans we strive for that fact that our club can win something. Twenty-five years ago several Midlands Clubs would have been able to have won the league title. Without the extremely rich investor the best a medium sized club can hope for now is a good cup run. I personally believe that when taking into account that we no longer operate within a level playing field, what Martin O’Neil achieved with this club was the equivalent to what Brian Clough achieved as a manager all those years ago…. To most City fans the trip to Wearside had not come at an ideal time. The fortunes of both clubs had changed in the last week with Leicester’s 4 match unbeaten run coming to an end with defeats at WBA and against Hull, whereas Sunderland have recovered dramatically from their disastrous pre-‘Keano’ start, winning their last three. In fact this fresh wave of optimism brought by the arrival of the former Manchester United legend, plus several deadline day signings was evident on the faces of the home fans walking to the mightily impressive Stadium of Light. The away fans in contrast were slightly more subdued. Having fired blanks in 5 of our 7 league games this season, and our only goal away from home being last weeks ‘own’ effort by Darren Kenton, 0-0 seemed to be a popular opinion of our best hope. Rob Kelly made two changes from Tuesday night’s defeat, with O’Grady and Wesolowski coming in for Hume and Low. Sunderland’s only change from their 3-0 win at Leeds was Chris Brown replacing the injured Connolly. After the blaring 'Dance Of The Knights' from Prokofiev's 'Romeo & Juliet' had died down, City started brightly, winning a couple of corners and Wesolowski firing wide from 25 yards. However it was not long before the Black Cats came into the game. Ross Wallace and Kenton started a good battle that would last all game and on 10 minutes the Scottish winger won a free kick. 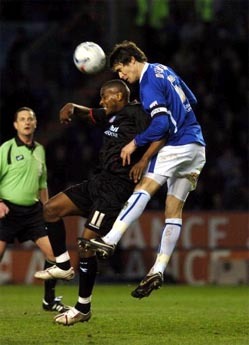 The cross was met by Brown but his header went just wide of the right hand upright….